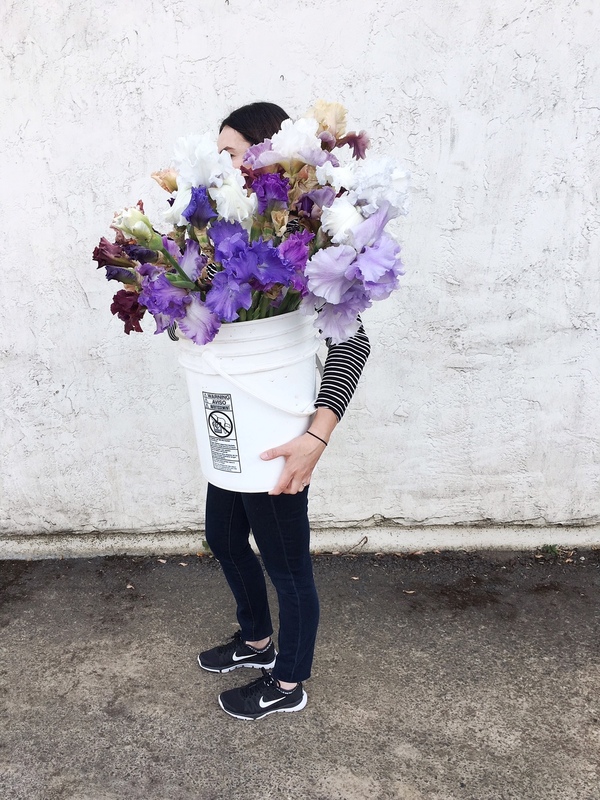 There’s something that happens after a wedding – maybe exhaustion or possibly feeling gluttonous over being elbows deep in buckets and buckets of gorgeous blooms just days earlier- that really brings on an aversion to flowers. Maybe aversion is the wrong word but I definitely feel the need to distance myself from flowers just for a little bit. I actually don’t know if anyone feels that way in this industry, but I know I do. We had just come home from a week-long trip to Northern California where our time was split between wedding work and spending time with family. 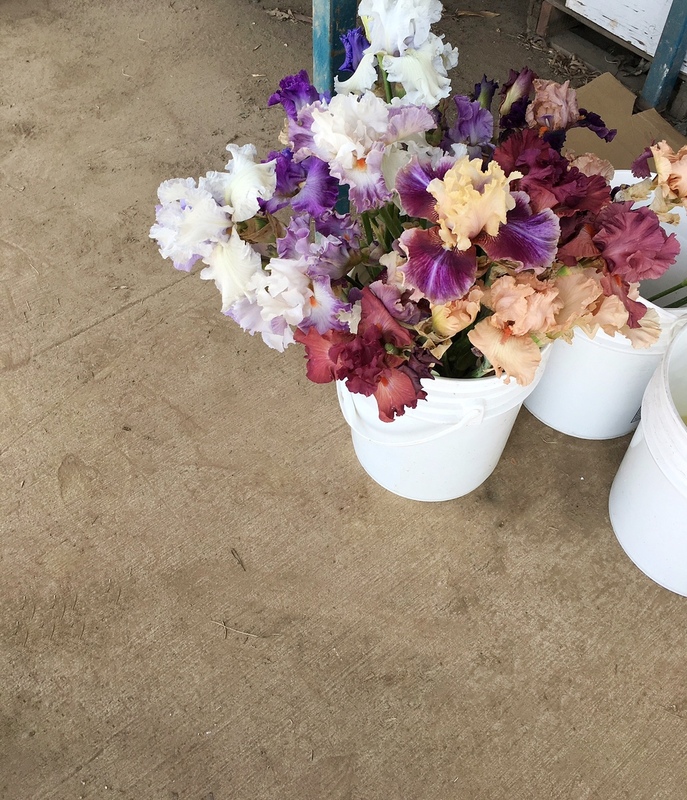 So contrary to my immediate desire to hide from flowers for a while, we decided to head to Schreiner’s Iris farm for their last weekend of bloom season the day after we arrived home from our trip. I embarrassingly had never been, neither had Ales so we really just needed to just get ourselves over there already. 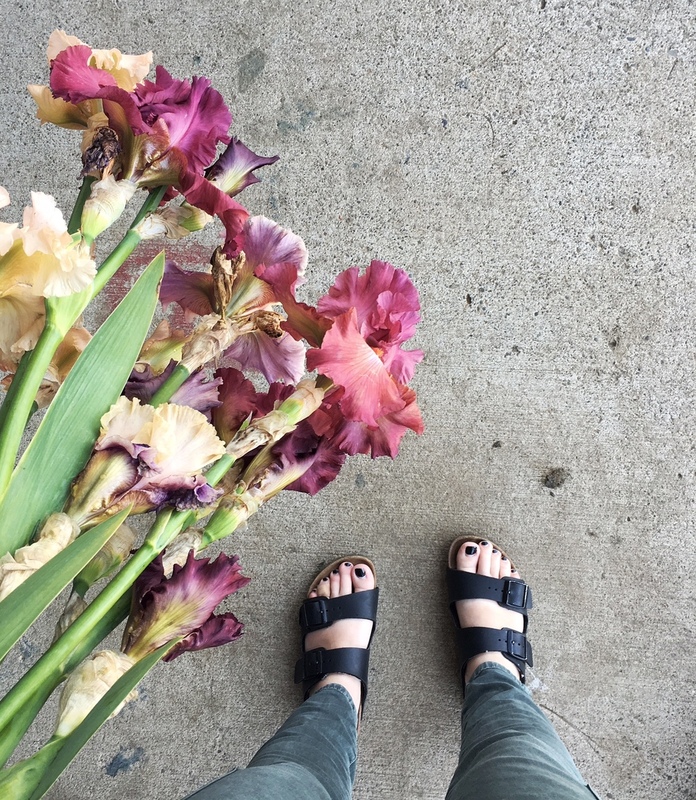 So anyway, we get to this farm and I don’t even have words for these iris. Practically pieces of art, each one of them. And so so delicate, like wet tissue paper. And it was overwhelming but not in a bad way, but in a super refreshing way, which was nice and unexpected. Really glad I paid this place a visit at the end of bloom season or else my May wedding would have been over budget and dripping in iris.